On March 29, the community gathered together to celebrate the latest Somali children's book, "Baro Tirinta Af Soomaaliga" at the NewHolly Gathering Hall. 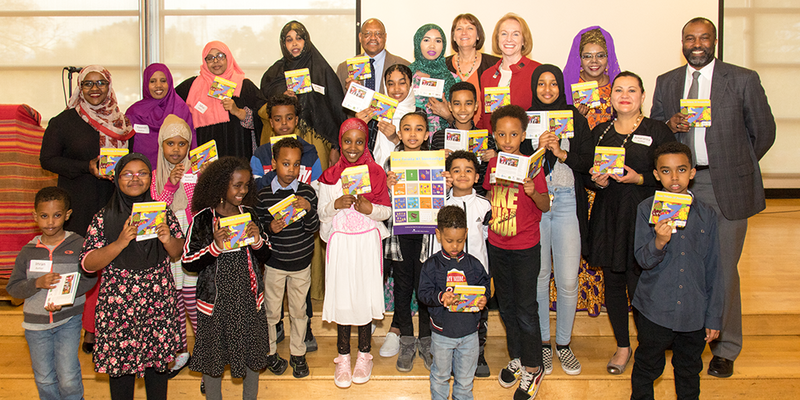 The Somali Family Task Force partnered with Seattle Public Library, Seattle Public Schools and Seattle Housing Authority for this project. 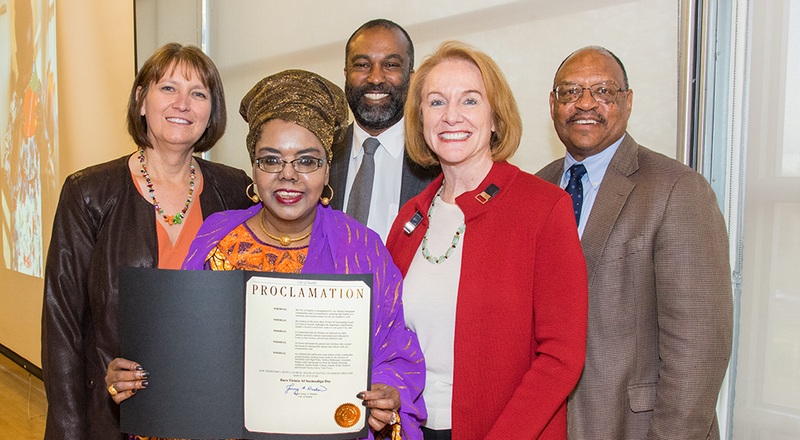 Jenny Durkan, Seattle Mayor, declared the day of the launch to be "Baro Tirinta Af Soomaaliga Day." Left to right: Denise Juneau, Fahriya Mohamed, Marcellus Turner, Mayor Jenny Durkan and Andrew Lofton. The children's book which means "Learn to Count in Somali," follows a previously published book, "Baro Af-Soomaali," which translates to "Learn Somali," and teaches the Somali Alphabet. The idea came to Fahriya Mohamed, the executive director and founder of Somali Family Task Force, who noticed the lack of Somali books while previously working at a library. "When I used to work at the library, we didn't have good Somali books....so that was my dream, to have Somali books," said Mohamed. "For the second book, we wanted to do the first 12 numbers for the kids to learn how to count in Somali." The community gathering and celebration included Somali food and tea, a slideshow about the creation of the book, and ended with celebratory cake. Somali families that were involved in the project were also awarded a Certificate of Appreciation for their contributions to the book. Click here to read "Baro Af-Soomalli"
Click here to read "Baro Tirinta Af Soomaaliga"